For the cycling aficionado who loves nothing more than hitting top speeds and beating the wind resistance, it can be offputting to see just how much it might cost to upgrade your standard road bike to something capable of achieving this. With most triathlon bikes beginning at the few thousand dollar mark, this is way out of the reach of the average cyclist. Everyone knows that the easy way to beat this is by purchasing a pair of aero bars that easily attach to your bike, but again these can be extremely expensive and just not feasible for most people. What you need is an affordable set of aero bars to fit your bike that gives you all the benefits and is backed by a quality brand that you can trust. Profile Design is known for making quality accessories for your bike, and within their range of aero bars is the Air Stryke which is far more affordable than others you’ll find on the market. These simple additions to your bike can improve your aerodynamic workout substantially and make it feel as though you were riding your very own triathlon bike. These bars have been made for the rider with a little less in their budget to spend so that you can get the quality that this brand is known for without breaking the bank. With their simple clip-on addition, the Air Stryke Aero bars from Profile Design is the ideal way to update your bike, improve your riding skills and do it all with an affordable product. Profile Design is one of the most reputable manufacturers of aero bars, with an extensive range that beats many other brands. As their most affordable aero bars available, the Air Stryke set has been widely popular with people looking to test out their first pair of bars or just wanting an affordable way to update their bike for speed and stability. 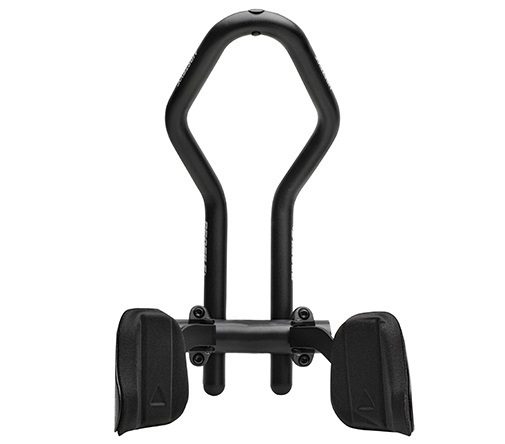 The Profile Design Air Stryke bars come in an easy clip-on style so that anyone can easily attach them, and there’s no need to pay a professional just to get them working. In addition to this easy installment, these bars are packed full of other features that make them an excellent choice for entry-level aero bars. ​​​​​These bars are ideal for the rider who is looking for their entry level pair of aero bars or as an affordable way to improve the aerodynamic abilities of your bike. Rather than throwing out your old road bike because it just can’t perform the way you need it to, a simple addition of the Profile Design Air Stryke Bars might be exactly what you need, and it will save you money and time as well. The best thing about the Profile Design Air Stryke bars is the comfort they provide, with everything from the spring loading in the construction to the padded armrest making your ride extremely enjoyable. These can bring life back into an old bike or just give a much-needed upgrade to your standard road bike, so if comfort is what you’re looking for you’ll definitely find it here. One huge disappointment with these that many people commented on was how much noise they make, with an obvious rattling sound when you ride your bike. If you can look past this and just enjoy the experience then it’s well worth the low cost, but if you think it might be a hindrance to your riding then you’ll want to spend that little extra and get something quieter. Many of the online reviews found these so simple to install because they just clip in to place on your bike. The ease of the setup means they’re great for beginners or those who aren’t usually mechanically minded, but in the worst case scenario, you’ll easily be able to take them to your local bike store for a professional fitting. Keep in mind, though, this is usually charged on a per hour basis which could end up pushing the overall cost up somewhat. 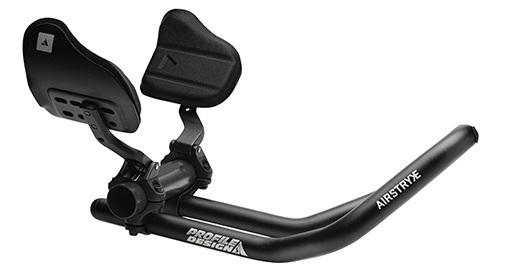 When you’re ready to upgrade your bike and want to do in a way that won’t break the bank, head to Amazon for the lowest price on these aero bars from Profile Design. Their current price for the Air Stryke is just under $75 which is around half of what you can expect to pay for a quality product like this, and as an added bonus, Amazon will cover the costs to ship it straight to your door. Profile Design also offers free returns on this product just in case you find they don’t suit your bike or their comfort isn’t to your standard, so don’t feel pressured to choose the absolute best fit every time. This brand is known for making the best of the best, though, and this is a top seller of theirs on Amazon with thousands of happy customers to be found. 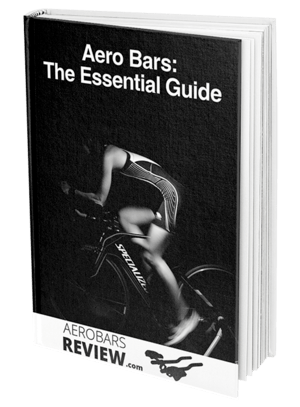 We all know the benefits that aero bars can bring, but for many of us, they’re simply out of our price range. 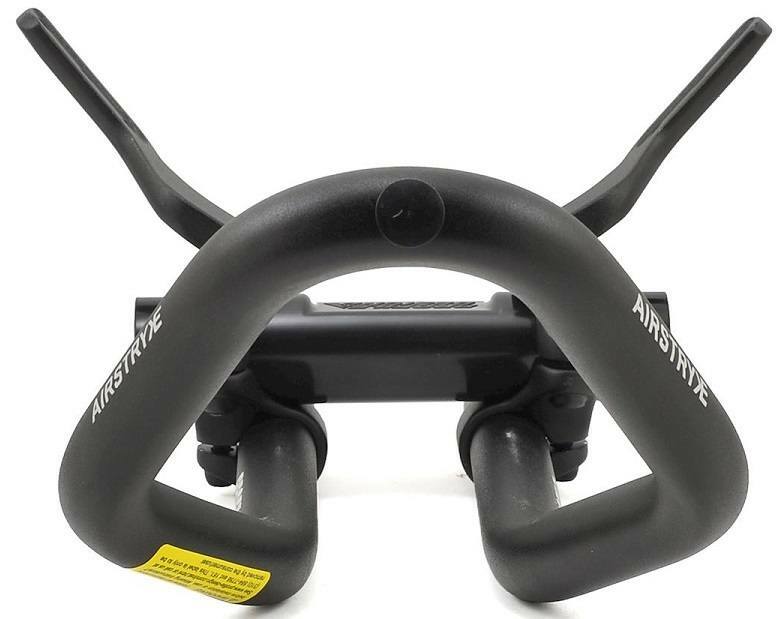 The Air Stryke bar from Profile Design is an exception to that rule, though, offering an affordable and simple way to improve the aerodynamics of your favorite bike. Whether you’re completely new to this technology or are looking for an affordable way to upgrade, you can’t go wrong with these. Profile Design is no strangers to creating quality aero bars and bike accessories, so you know that you can put your trust in them to deliver the goods. 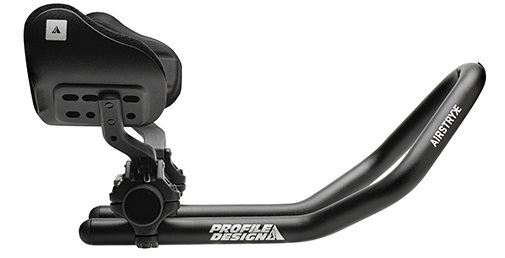 To get yourself the affordable but efficient Air Stryke bars from Profile Design.